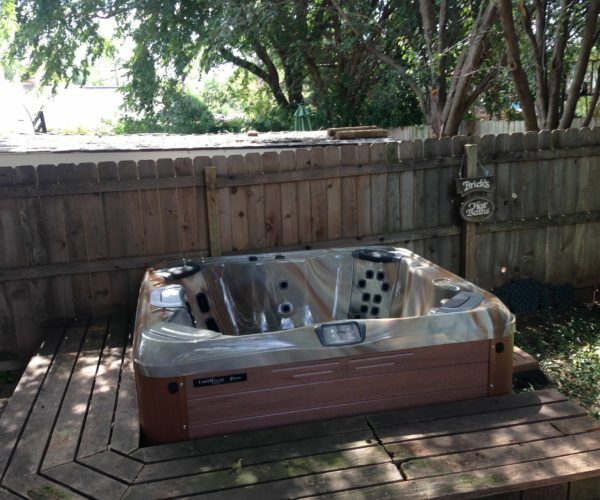 Looking for some inspiration for your new hot tub or backyard design? 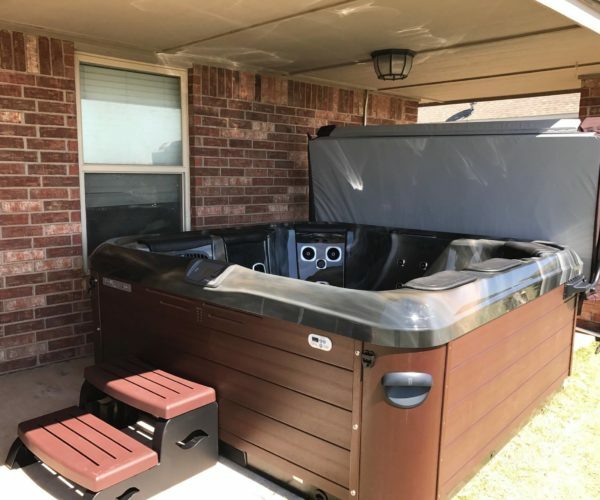 Check out our gallery of local installs in Oklahoma City to see how a Bullfrog Spa can complement your home & yard. 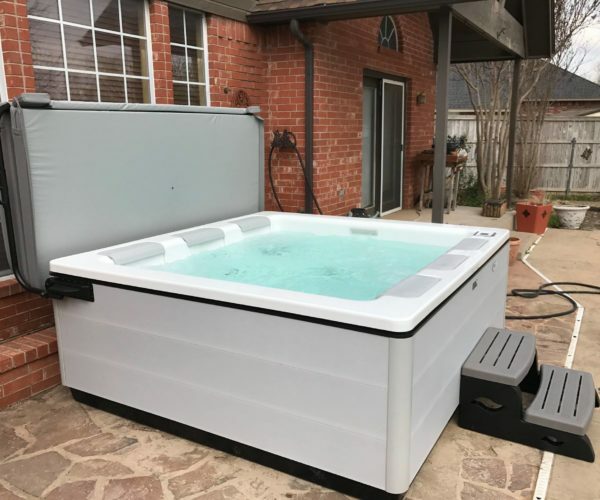 The Smith’s new Bullfrog Spas A7 in Edmond, Oklahoma. The platinum shell looks wonderful with the slate cabinet! 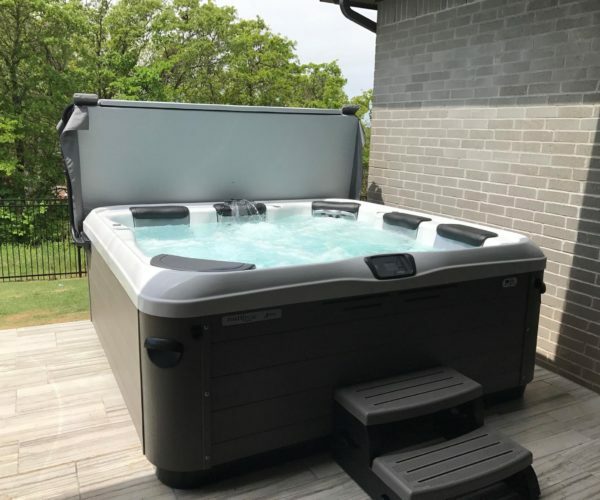 The Horton’s new Bullfrog Spas A8D, in Oklahoma City.The shell in platinum with the cabinet in the color driftwood gives the spa an elegant feel! The Weigel’s new Bullfrog Spas R7L, sunset over hazelnut cabinet, in Oklahoma City. The oscillator jetpack is in our top three! 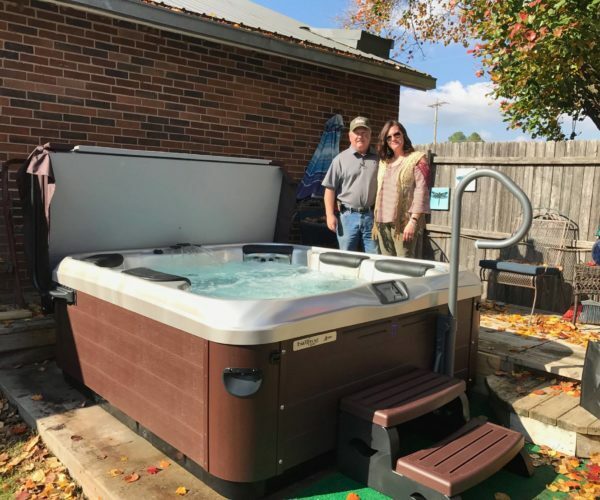 Dennis Harris with his new Bullfrog Spas R6, with saltwater, in Choctaw, OK.
Justin & Jill Merritt with their purchase of a new Bullfrog R6L Spa. Donita Douglas enjoying her new Dreammaker Spa in Oklahoma City. 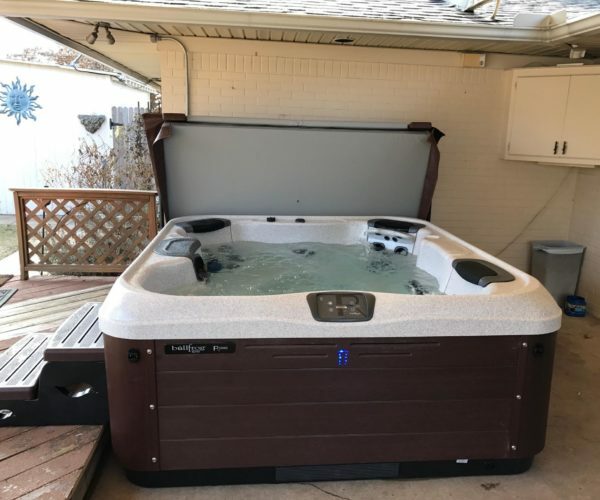 Visit Bullfrog Spas today and select the perfect hot tub for you! 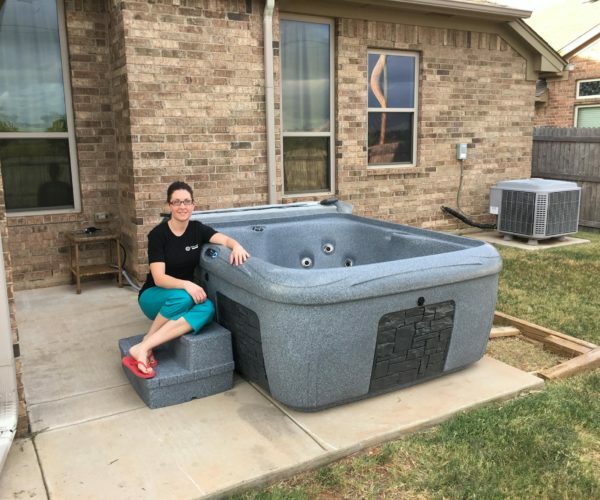 Donna Cheves enjoying her new Bullfrog Spas in Marlow, Oklahoma! Shell is in midnight with the cabinet in the color driftwood. 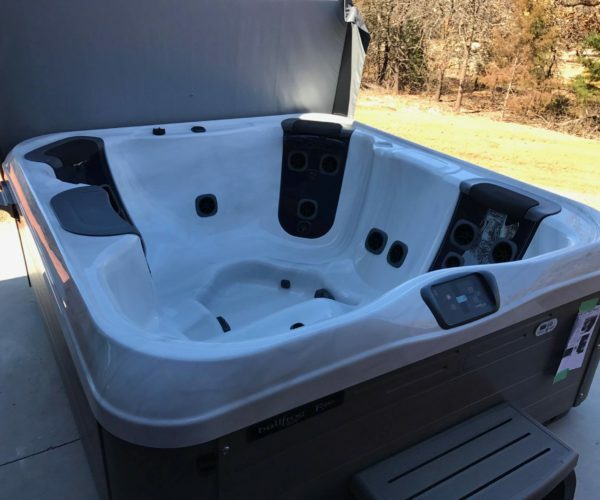 The Barfield’s new Dreammaker Spas EZL in Moore, Oklahoma. This unique plug-n-play spa in grey is perfect for homes with limited space! The Woods’ new Bullfrog Spas in Moore, OK. The shell is in Cinnabar with the cabinet in Mahogany. 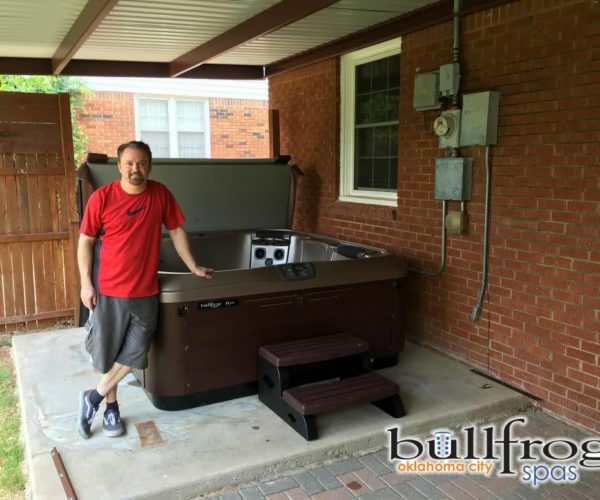 The Woolbright’s new Bullfrog Spas, X7L in Oklahoma City! The shell is in Midnight and the cabinet in the color Walnut. Dream Maker Odyssey. Thank you Anthony Graves for your business. 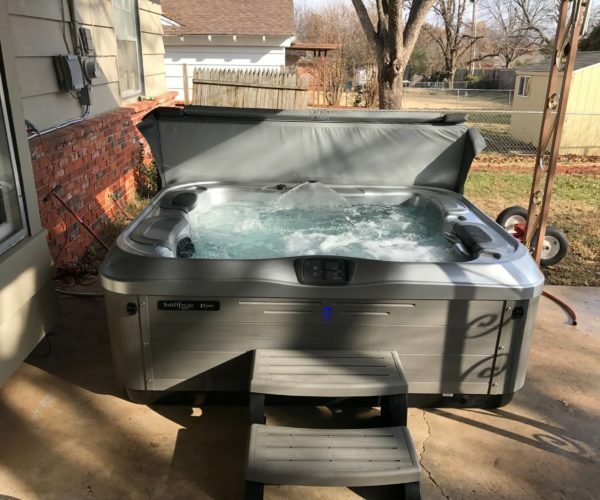 The Loup’s new Bullfrog Spas R7L in Moore, Oklahoma. Mightnight with Driftwood is one of our most popular combinations! 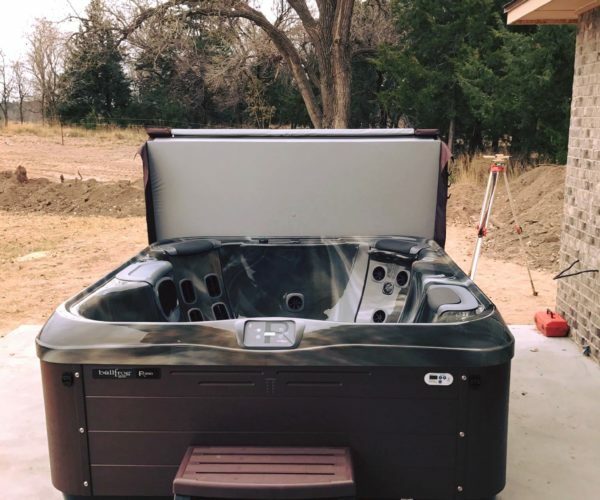 The Bechtel’s new Bullfrog Spas A6 in Blackwell, Oklahoma. 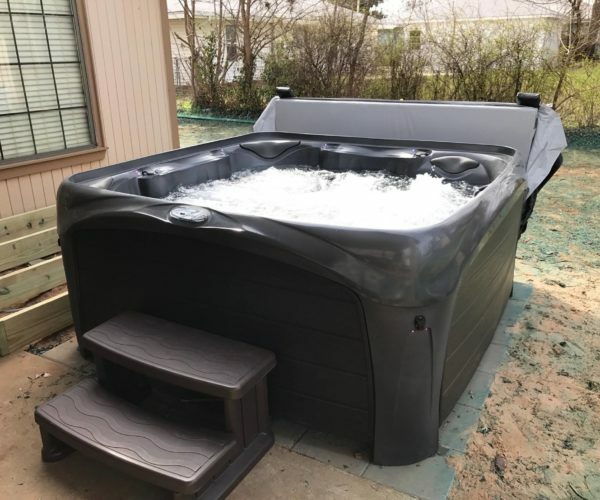 The upgraded cabinet and steps complement the elegance of our hot tubs! 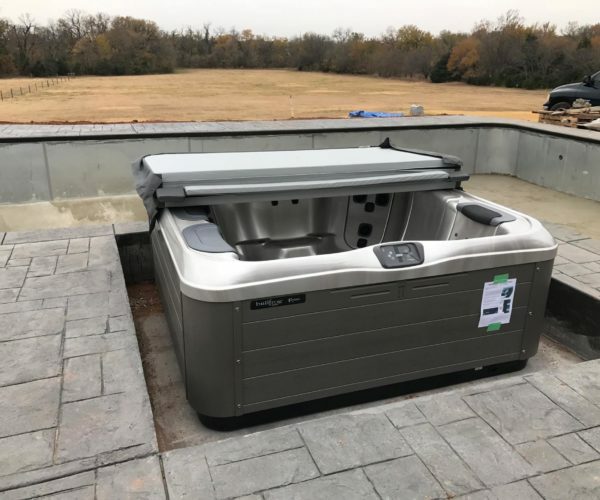 The Robert’s new Bullfrog Spas R6L in Edmond, Oklahoma. 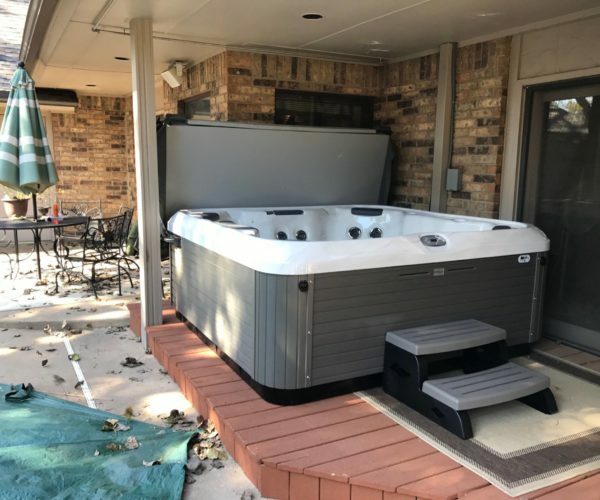 Thank you for your business, we know you will love your new hot tub! 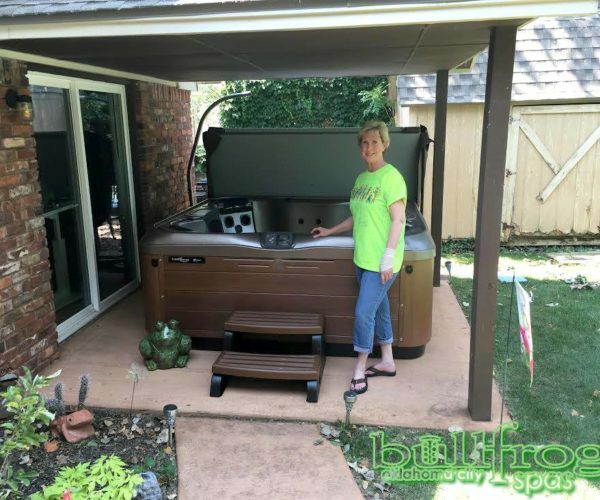 Glenna Shropshire enjoying her new Bullfrog Spas X5L in Chickasha, Oklahoma. Thank you for your business! 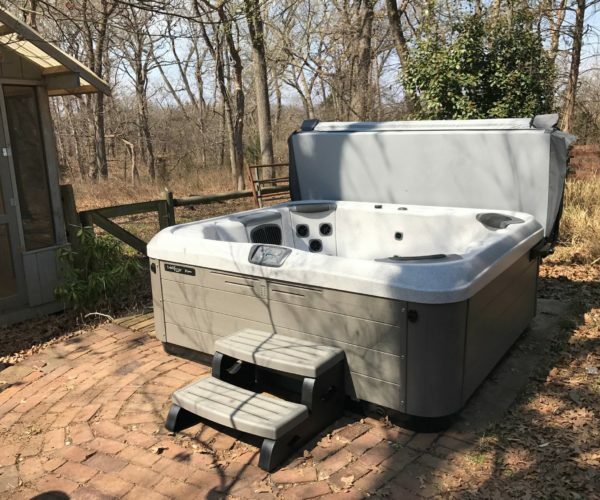 The Page’s new Bullfrog Spas A8L in Arcadia, Oklahoma. 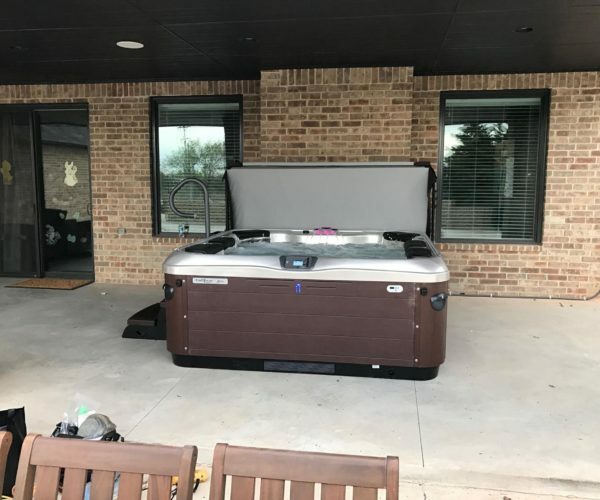 Come to Bullfrog Spas this week to find a premium hot tub for your unique lifestyle. Robert Payne’s new bullfrog spa R5L in OKC, OK. The Grove’s new Bullfrog Spas in Guthrie, Oklahoma. The Midnight shell with the cabinet in the color driftwood is a wonderful combination! The Hardin’s new Bullfrog Spas R7L in Tuttle, Oklahoma. The shell in Pearl with the Mahogany cabinet is perfect for red brick homes! 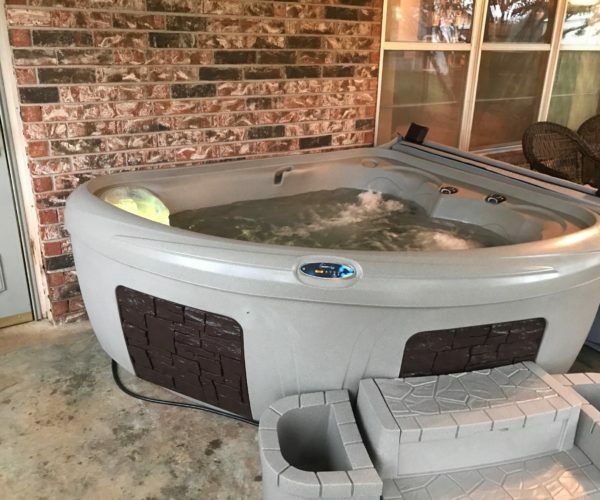 The Smith’s new Bullfrog Spas R7 in Harrah, Oklahoma. 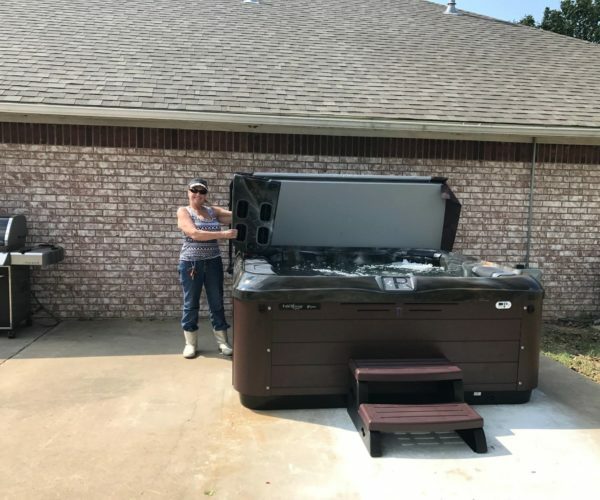 Thank you for your business, we know you will love your new hot tub! 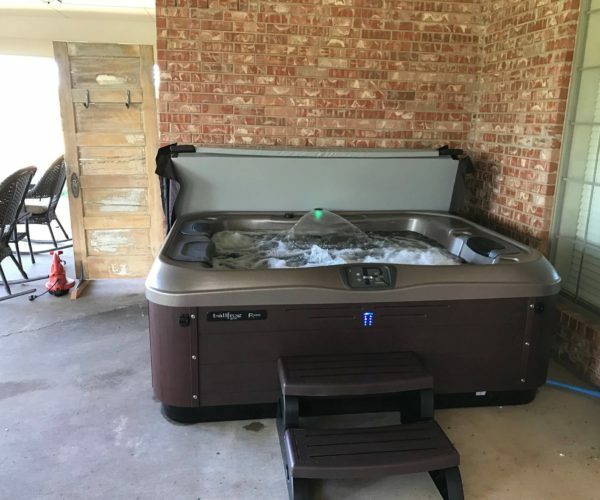 The Kobza’s new Bullfrog Spas R5L in Blanchard, Oklahoma. The Cinnabar shell with the Mahogany cabinet is the perfect combination for any backyard! Larry Brown’s new Bullfrog Spas A6 with saltwater option. The Afonien’s new Saltwater, Bullfrog Spa in Edmond, OK. The Mirage shell looks amazing with the Mahogany cabinet. 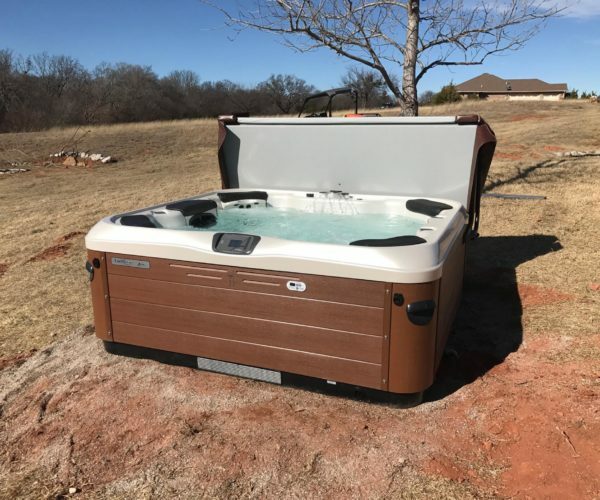 The Farmer’s new Bullfrog Spas A7L, with Saltwater upgrade in Moore, OK. The shell in Midnight looks wonderful with the Mahogany cabinet! Robert Briggs’s new bullfrog R6. 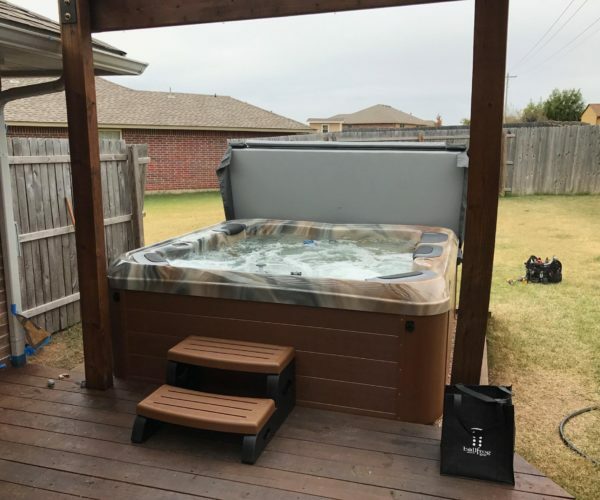 Thank you for choosing bullfrog spas of OKC. 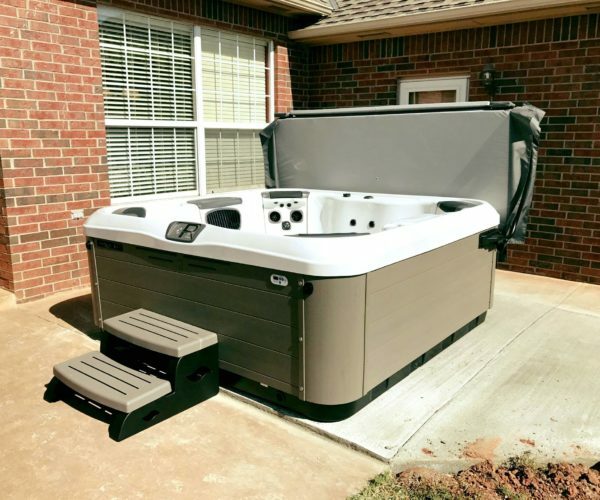 The Bridge’s new Bullfrog Spas R6 in Chandler, OK. The cabinet color in Drift blends nicely with the woods! Bullfrog Spas STIL series! This STIL spa brings a great modern classic to any home! The Caplinger’s new Bullfrog R6L, with saltwater option, in Jones Oklahoma. The color is platinum over driftwood with sapphire jetpacks. 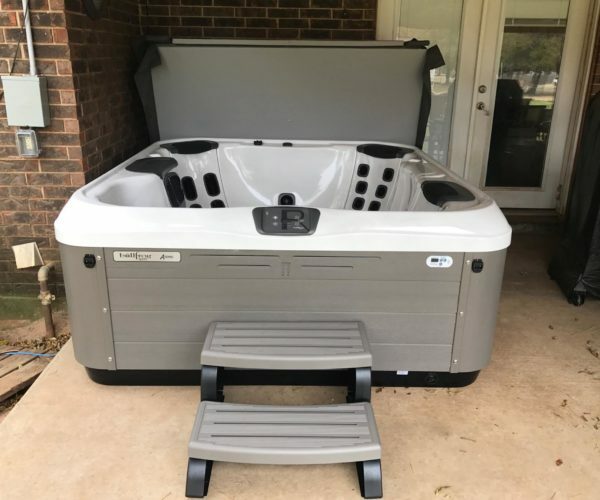 The Cook’s new Dreammaker Spas Crossover 730L in Midwest City, OK. Beautiful metallic gray with black panels! Thank you Josh and Amanda Mize! Welcome to the Bullfrog family. Congratulations to Carolyn Stuart for her purchase of a new Bullfrog R6 Spa. Thanks again, and enjoy your new spa! 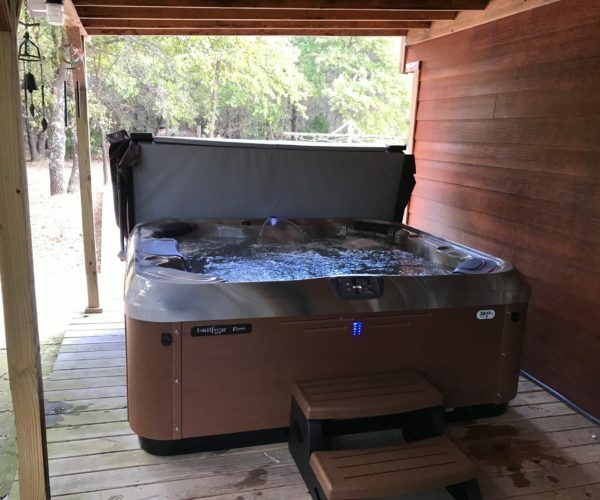 Congratulations, and thank you to Roger Ary for his purchase of a Dream Maker 730L Spa. 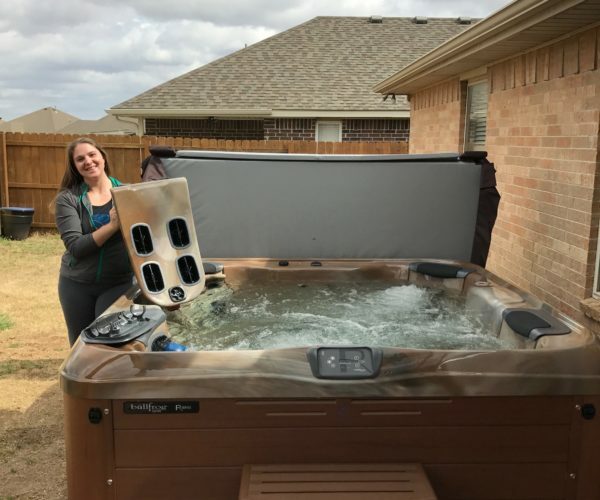 Welcome to the Bullfrog Spas of OKC family of Happy Hot Tubbers! Jeremy got his new Bullfrog R6L Spa delivered today. 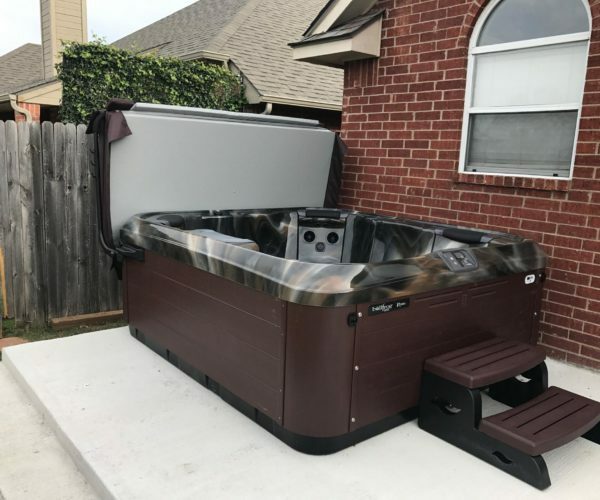 He’s just hours away from being a happy hot tubber! 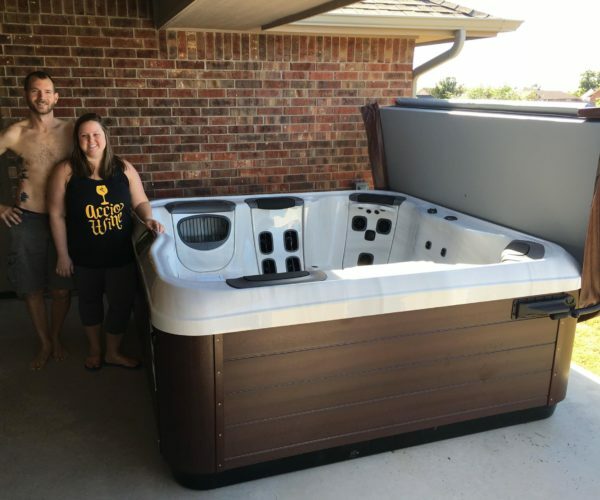 Tommy & Tammy Clay with their purchase of a new Bullfrog A8L Spa. Enjoy that beast of a tub! 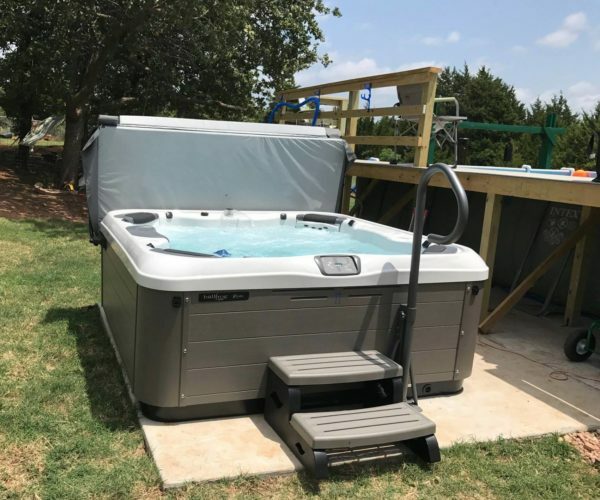 The Burchfield’s new Bullfrog spas R7L in Morris, Oklahoma. The midnight shell looks incredible with the mahogany cabinet! Have you seen our newest product the Innova Spa? 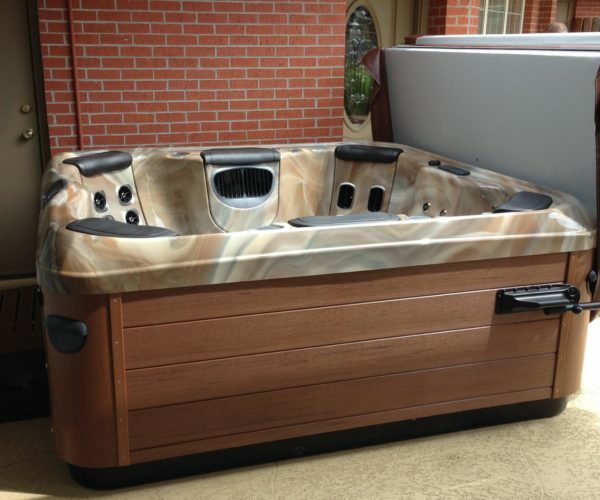 Come to Bullfrog Spas today and get the perfect plug-n-play hot tub for your home! Thank you Mr. Moore for your purchase. The Hyatt’s new Bullfrog Spas R6L, in Duncan Oklahoma. The shell in Sunset with the Hazelnut cabinet looks beautiful in red wood homes! 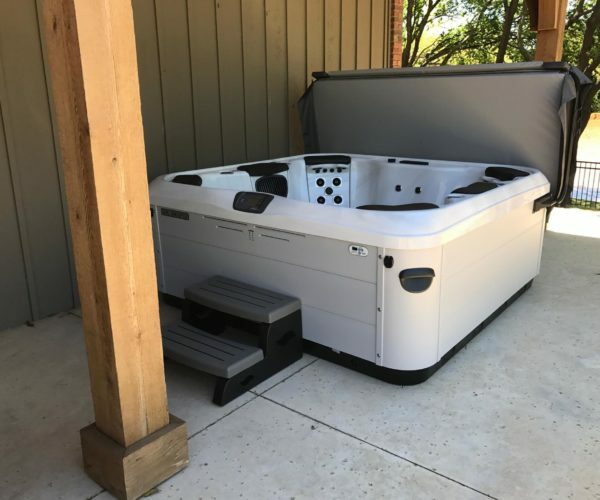 Check out the Dreammmaker Fantasy ,a plug-n-play hot tub perfect for couples looking to relax and save space! Thank you Mr. and Mrs. Hamilton for your business! 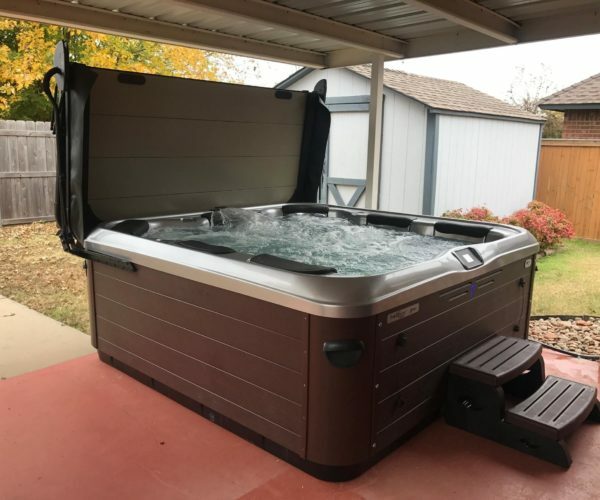 The Daugirda’s new Bullfrog Spas R7 in Edmond, Oklahoma. 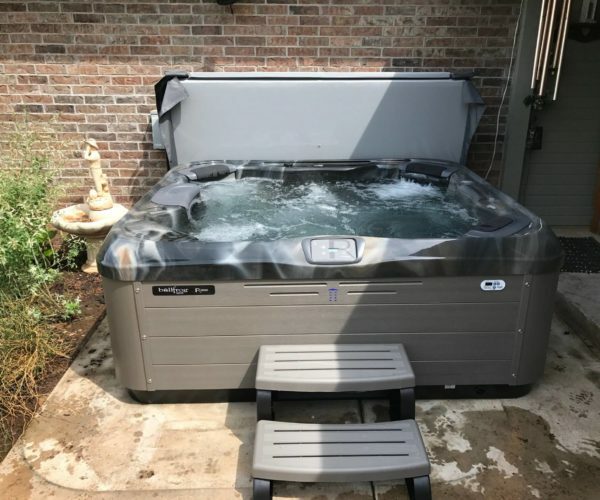 Thank you for your business, we know you will love your hot tub! 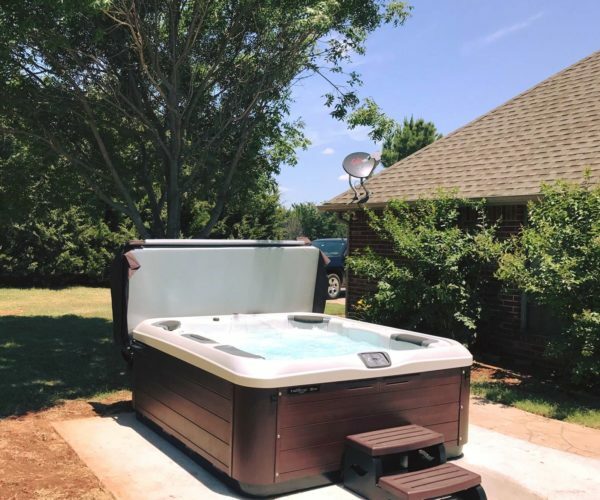 The Hoskins’ new Bullfrog Spas X7 in Edmond, OK. The shell is in Platinum and the cabinet in Harbor Grey. Thank you for your business! The Riley’s new Bullfrog Spas R7L in Yukon. The Sunset and Hazelnut combination never goes out of style! The Machado’s new Bullfrog Spas R6L in Moore, Oklahoma. Come into the store today and you too, can get the perfect tub for your home! The Mauk’s new Bullfrog Spas R7L in Yukon! 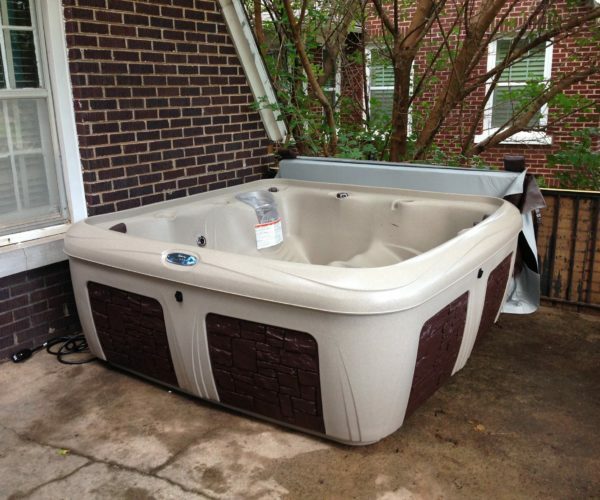 Thank you for your business, we know you will love your hot tub. 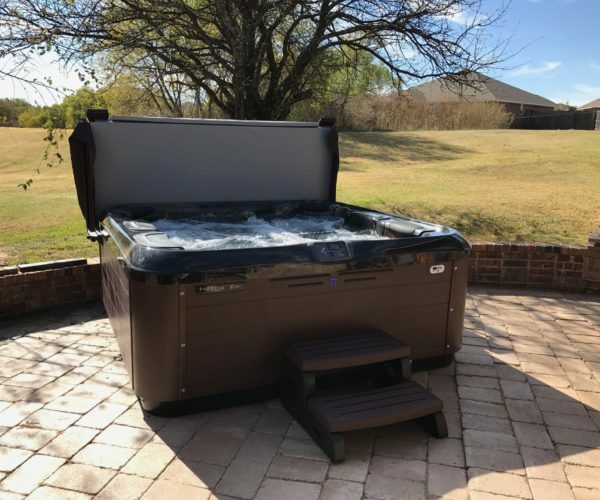 The Harris’ new Bullfrog Spa R6L in Marlow, Oklahoma! The shell is in Platinum and the cabinet in Driftwood. 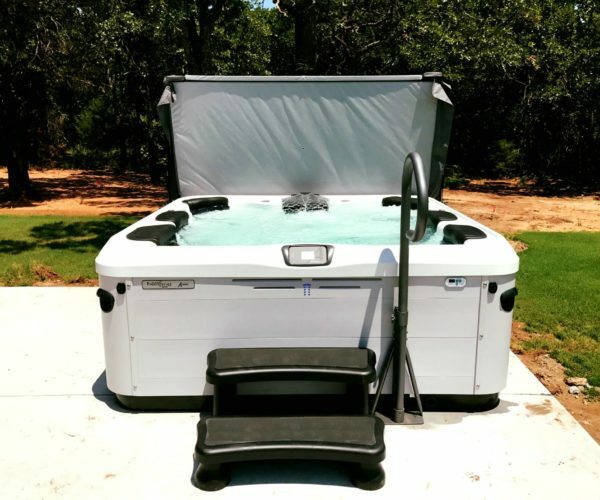 The Jeffrey’s new Bullfrog Spas A7L in Holdenville, Oklahoma. Thank you for your business. 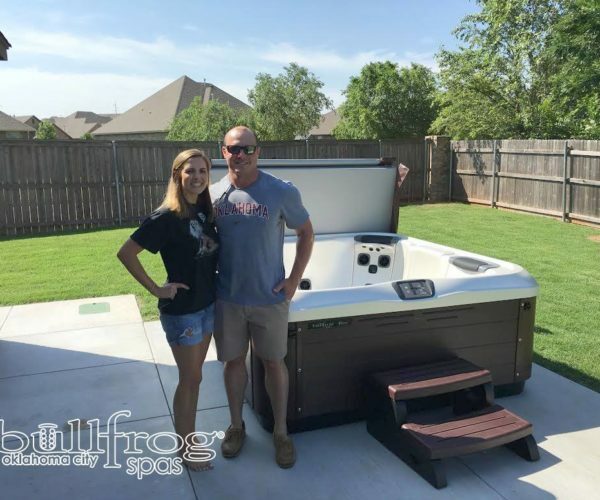 The Lohman’s new Bullfrog Spas R7L in Norman, Oklahoma. The shell is in Mirage and the cabinet is in Driftwood. 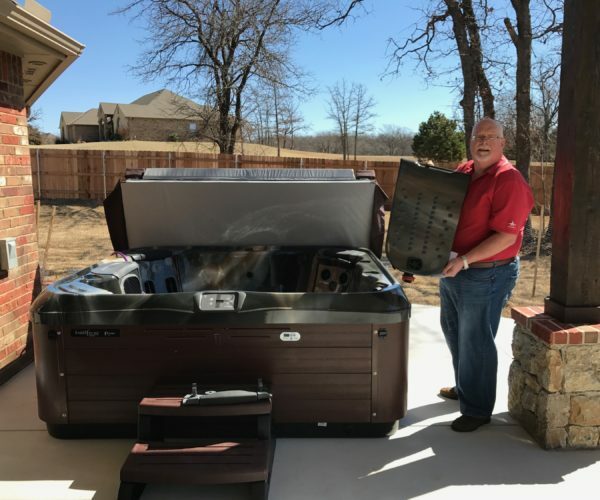 The Sterner’s new Bullfrog Spas A8L in Oklahoma City. Has a Titanium shell and Mahogany cabinet with a smart top upgrade! 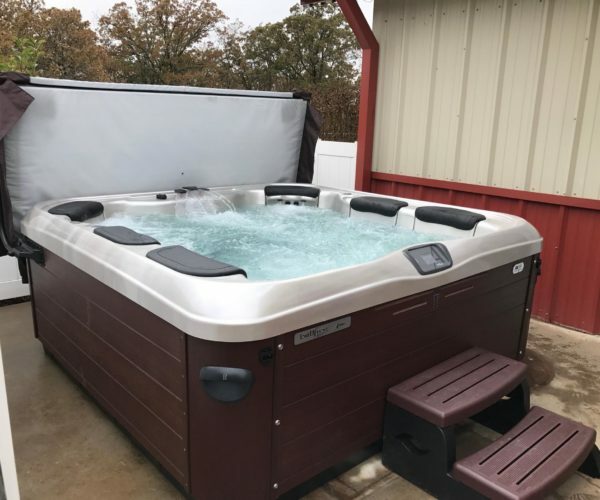 The Bensch’s new Bullfrog Spas R6L in Chester, Oklahoma. The Midnight shell with the Mahogany cabinet is one of our most popular combinations this fall/winter! 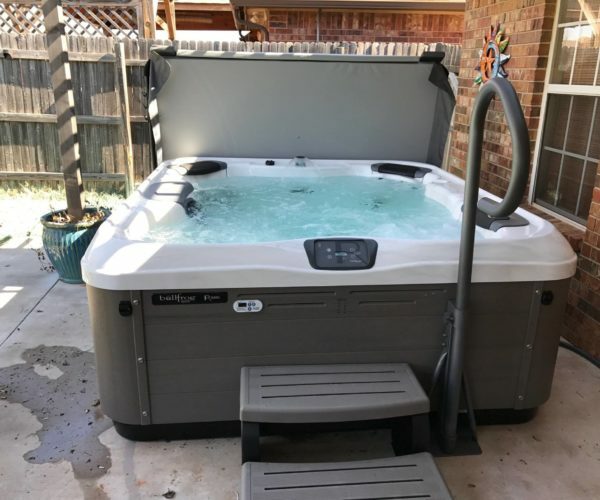 The Turpin’s new Bullfrog Spas A6L in Wewoka, Oklahoma. 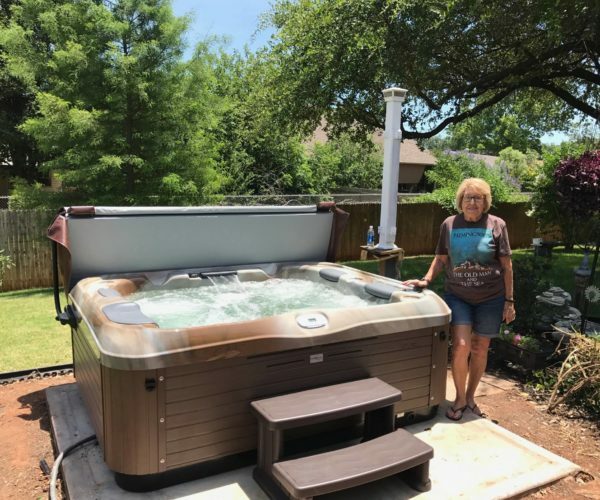 Thank you for your business we know you will love your hot tub! 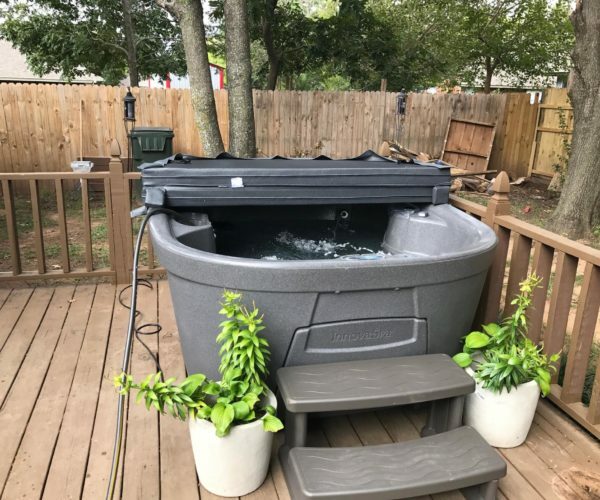 Ready to Spruce Up Your Backyard With a Bullfrog Spas Hot Tub?